After 70 years of unparalleled performance in the construction industry, Earthcore’s Isokern line has become the most trusted modular system in the world-and they are built to last forever! 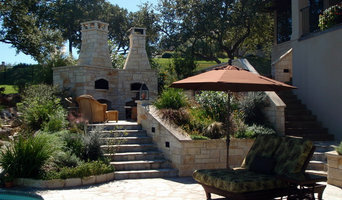 We specialize in wood-burning pizza ovens and fireplaces. We own them, cook on them, love them and have built hundreds of them. We specialize in everything from custom made to order fireplaces, columns, fountains and more. From our showroom/distribution center in Dallas, we guide our clients through the entire process. We have been in business since 2004. We install fireplaces and gas logs for custom homes builders and homeowners. 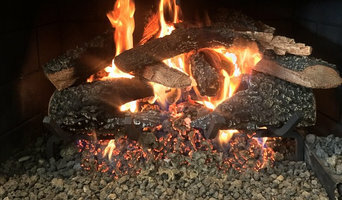 Our highly trained technicians and office staff work diligently to be sure each and every customer is please with our service and have a safe warm fireplace to enjoy. Celebrating 25 years of enhancing homes with beautiful cook top hoods & fireplaces, we are dedicated to bringing our customers the highest-quality products & customer service at the lowest cost. Once upon a time, fireplaces were central to the home — meals were even cooked in them. Fireplaces go beyond physical comforts too, offering psychological and emotional warmth even in modern households. However, installing a new fireplace can go wrong, quickly. There is a lot to keep in mind, and there are plenty of safety measures that you need to get right. Reaching out to a Jonestown, TX fireplace professional can help you find the right unit for your home and make sure it’s installed correctly. What should you know about buying a fireplace in Jonestown? Since wood smoke contributes to air pollution, many cities have banned the use of wood-burning units. If you’d like to buy a wood burning unit, check the Jonestown, TX city policies first. If your home already has a wood-burning unit that you’re concerned about, contact a fireplace manufacturer to replace your wood-burning unit with an environmentally friendly electric or gas alternative. Gas inserts can be efficient heaters and may lower your electric-heat bill. Many adjust to provide high heat on a cold night or a low-burning flame for ambience. Interior fireplaces and mantel designs are as varied as home interiors. From custom fireplace mantels made to conceal a flat-screen TV to custom hearth designs with elaborate Renaissance-style stone mantels, the latest designs can be found by visiting Jonestown, TX fireplace showrooms. Find fireplace manufacturers and showrooms, plus fireplace installation professionals, on Houzz. 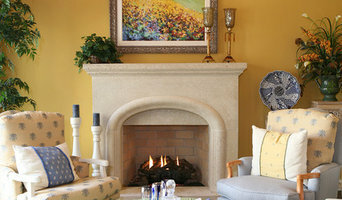 Go to the Professionals section to find Jonestown, TX fireplace design and installation experts.